It maybe a bit chilly, but winter is certainly over. Perhaps, winter will deliver a snow shower before the spring equinox, but we are starting the long slide into summer. still waiting for our first snowdrop here in New Jersey. Beautiful. 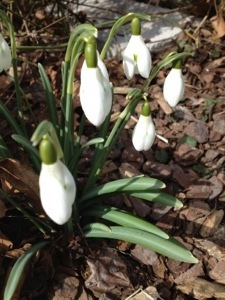 The snowdrops started blooming in my garden several weeks ago. Now they are in full bloom.